Malaysians have not learned the word ‘leaching’. Go to your favourite lunch stall, see office workers tapau their deliciously hot food/noodles. 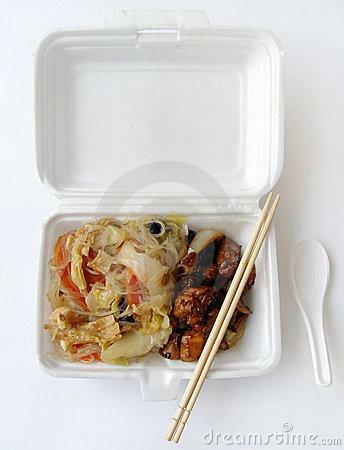 Nobody seem concerned with plastic leaching from their favourite tapau lunch packet when they get back to their office to eat them food. * While it’s likely impossible to completely avoid all plastic products, try to use as little plastic as possible, especially if you’re pregnant, and never use it around food. * Don’t serve or store hot foods, acidic foods, or foods with a high fat or oil content in plastic containers of any kind as these types of edibles are more likely to encourage leaching. * Use glass, metal, or lead-free ceramics instead. A simple storage system can be created with any bowl and a similarly-sized plate used as a lid. * Avoid the temptation to save and reuse commercial food packaging and drink bottles, which are not designed for repeated uses and become more prone to leaching with repeated cleanings.